Hey! I can finally post about the sculpture I finished last weekend. 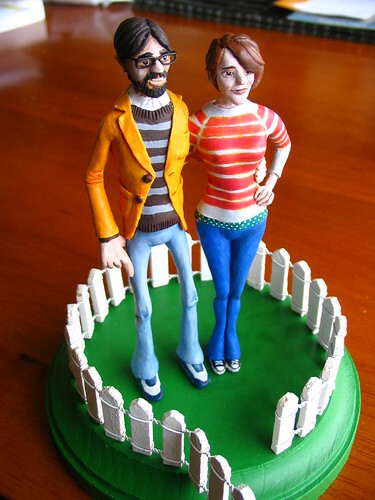 It's a topper for the wedding cake of some friends of mine who are getting married today. Please take a look at the pictures if you have some time. Also, I'm going to Japan for a little while. I'll try to post some updates here - but may just wait until I get home. Keep an eye on my flickr for pictures.